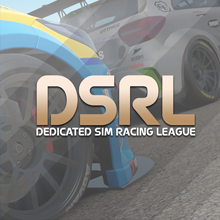 There is now a DSRL Rally league on Dirt Rally. This will be used to gauge interest from the community and possibly make future championships possible. So go onto Dirt rally, search in the leagues for 'The DSRL Rally'. Not sure how much pace I have in this game. Ok so far we have me, Rebel and Hurt who have joined the DSRL Rally championship. I will keep info posted onto here. Too bad this didn't catch on. What was the plan? 1 stage a week, to give everyone a chance to do it? It wouldn't have been a live event correct? I still plan on doing this. So far, there is 4 of us as iHAM has also signed up. Tell you what, I shall set one up tonight running until Sunday. 6 stages in Wales with no restarts. I think it then should get a bit more of a following. Hopefully. As you said, I thought it would be more popular. Just joined the league. Do I need you to approve me? Haha. Got to finish though. It is still active. Although there isn't currently setup league, there is more to come! tried to join also, not sure if it came through though. Any plans/dates for event 4? Soon buddy. Though I think it will be a series this time rather than 1 event.